Since the establishment of the Nikos, we are engaged in offering a wide range of Custom Mugs in Mumbai Pune residential as well as commercial sectors. 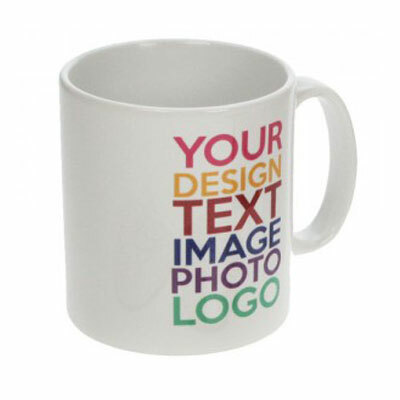 We are considered as top-notch Custom Mugs manufacturers, suppliers, and exporters. These are available in custom designs in order to cater the ever-changing demands of the market. Our in-house manufacturing facility is loaded with cutting-edge technology and high-quality raw material like ceramic stoneware that help us to design and develop an elegant look and light weight Customized Coffee Mugs. These are well-known for their rigid structure and smooth finishing. Our talented team put all their efforts to design a mug which puts its impact on our customer's mind and they never stop themselves from purchasing it. As a reputed Custom Photo Mug manufacturers, suppliers and exporters in Pune, Mumbai, we commit to fulfill the demand of our customer within a promised time frame. Send enquiries, to get any of our mugs range.